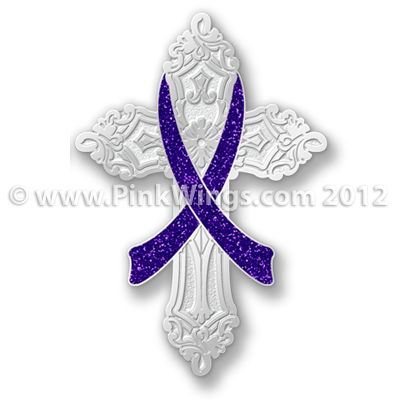 This pin looks more like a piece of jewelry with recessed and high polish metal and a glitter purple ribbon. A great new purple ribbon pin for your collection. Makes a great gift. Available to order in bulk at discount pricing.